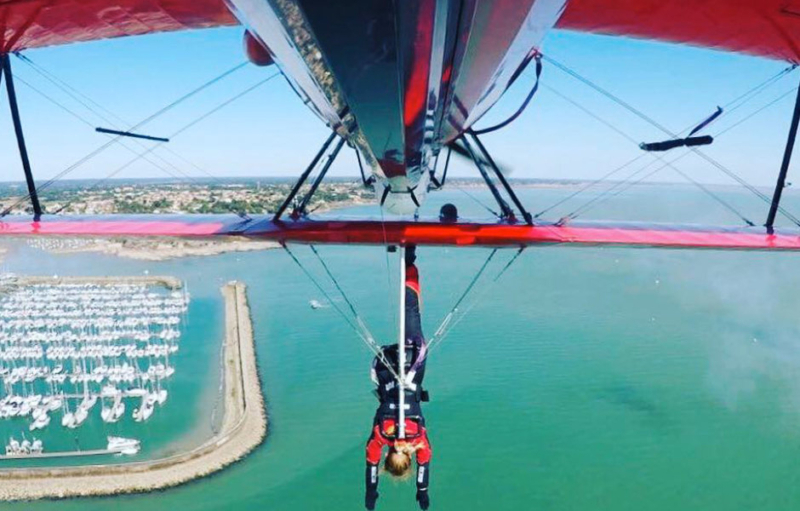 Danielle hangs from the plane as it flys past the crowd inverted! Check out 46 Aviation Designed Leather Jackets! 46 Aviation is based in the Swiss Town of Sion, displaying and operating Warbirds, Aerobatics and Wingwalking. 46 Aviation perform air-displays in it’s impressive aircraft at several airshows and events across Europe each year. The team also manage the restoration and operation of historical aircraft. If you are interested in booking the team for an air display, a touristic flight or would like to find out more about our Warbird operation services, please contact us to discuss how we can proceed.